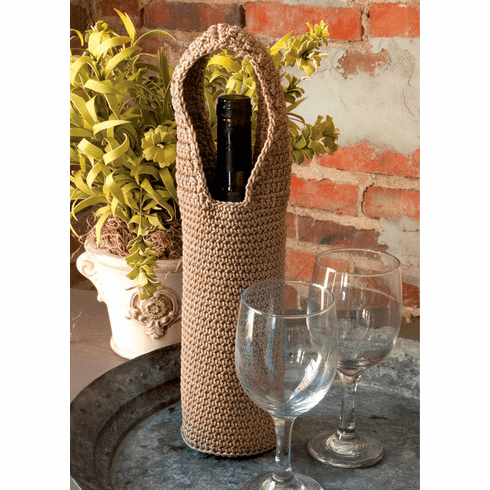 Crochet Wine Bottle Wrap, set of 2 is 3.5 inch x 15 inch. Material is 100% polyester. Machine wash cold, gentle. Do not bleach. Lay flat or hang to dry. Touch up with cool iron as desired. Be sure to look up the several matching items to this collection. Search for Crochet.